Allaboutlimassol.com - 18 taverns with a yard in Limassol, to enjoy tradition out in the open! 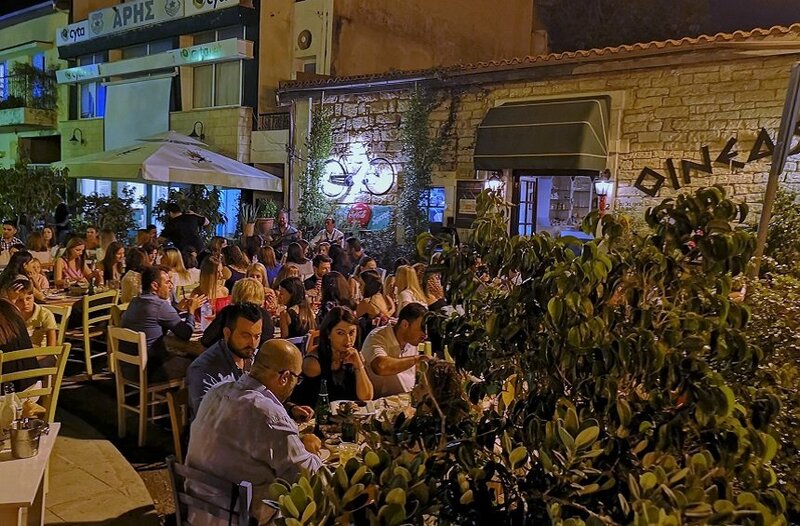 18 taverns with a yard in Limassol, to enjoy tradition out in the open! 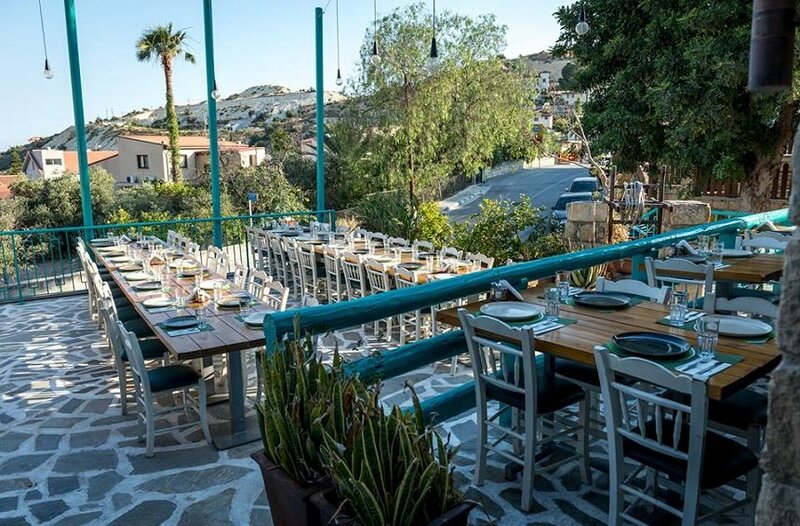 When meze is served in a yard, it is a whole other story… Apart from the tasty delights, the food served at the yard has a special dimension, as if it was some kind of ceremony in touch with nature and tradition. Colors and scents work together to make the meal out of the house a unique experience, an opportunity to get out, to refresh yourself, to feel nostalgic on times gone by, back when the yards would get people together in vivid gatherings. Limassol offers 14 special options for meze in the yard. Make sure to draft a schedule to go round them all, because it would be hard to choose only one. 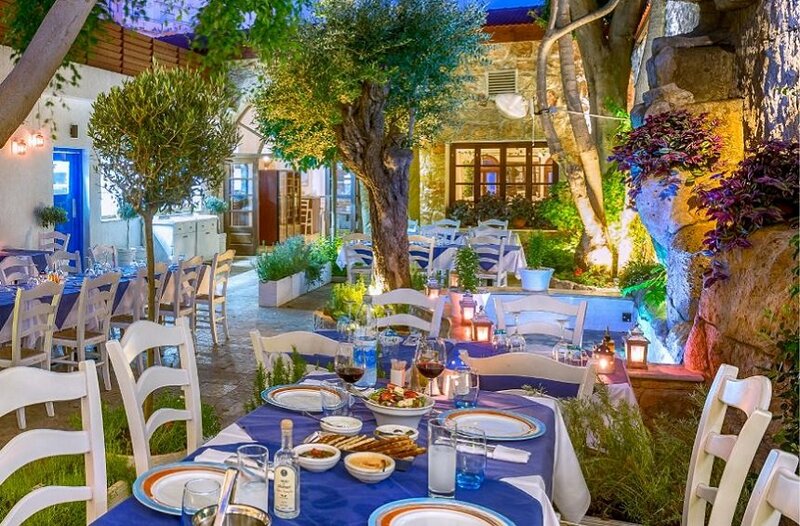 A beautiful listed old house in the historic Ayiou Andreou Street adjacent to the Columbia Plaza, with a charming courtyard full of color and scented with fresh herbs such as mint, sage, basil, oregano and rosemary, the garden setting is perfect for enjoying exquisite Greek cuisine under the stars. 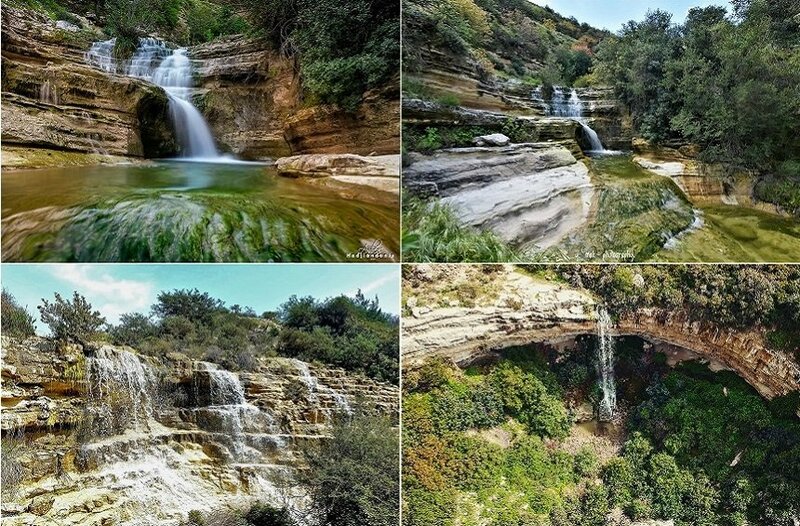 Find more information about Avli tou Vasilea here. A spacious open air area attached to the tavern is an ideal place for mellow or even warmer days and nights. In a cozy and familiar atmosphere, one gets to taste some amazing, grilled delicacies, while there is a daily option of pulses, for those stying away from meat. Find out more about charcoal grill here. At Eparchiaki Tavern you will find a friendly atmosphere and real entertainment at a low cost. 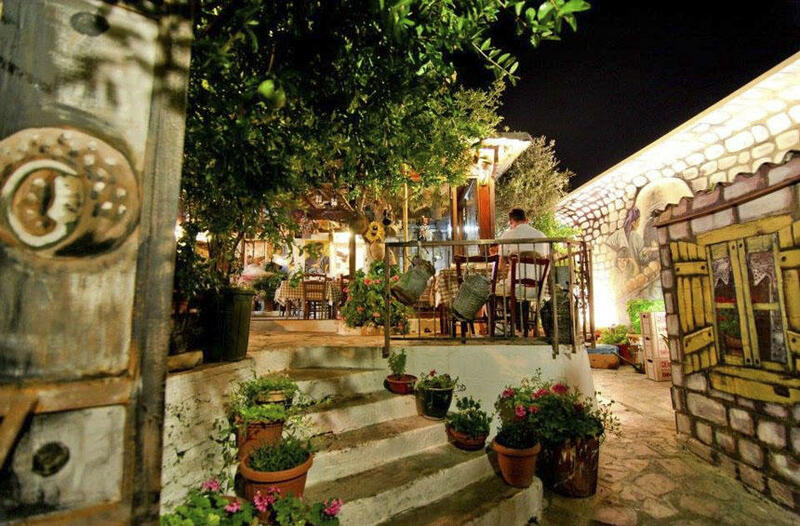 The yard of this beautifully restored, stone built house, apart from its refreshing atmosphere and the 34 different meze dishes, offers every Friday and Saturday some live music from the band. Find out more about Eparchiaki here. 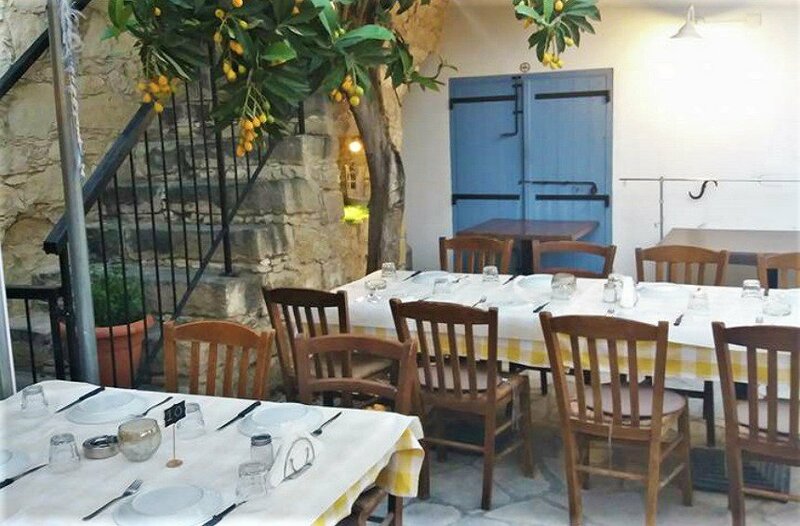 Behind the little church in the village of Agios Athanasios, housed in a warm and welcoming traditional house is the tavern Skourouvinnos. Souvlaki stick with halloumi and aubergine, and cheese balls with basil sauce, cooked with great skill by the owner, are the ones that will keep you visiting this place at nights. Find out more about Sjourouvinnos here. 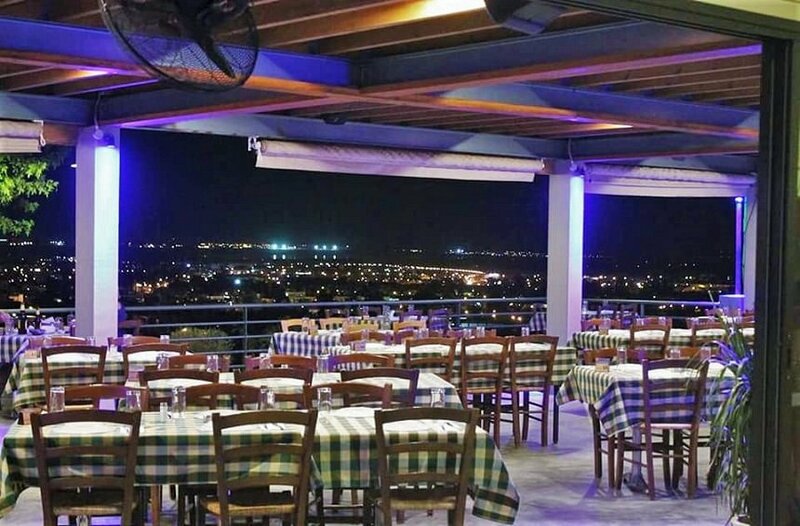 One of the most well-known option in Limassol for meze and friendly hospitality, Melis’ Tavern, offers a beautiful corner for days with a mild or warm weather, for you to enjoy a meal under Limassol’s sky. Find more information about Melis’ tavern here. Grandpa’s old coffee shop, turned into a tavern by which the new generation honours tradition. 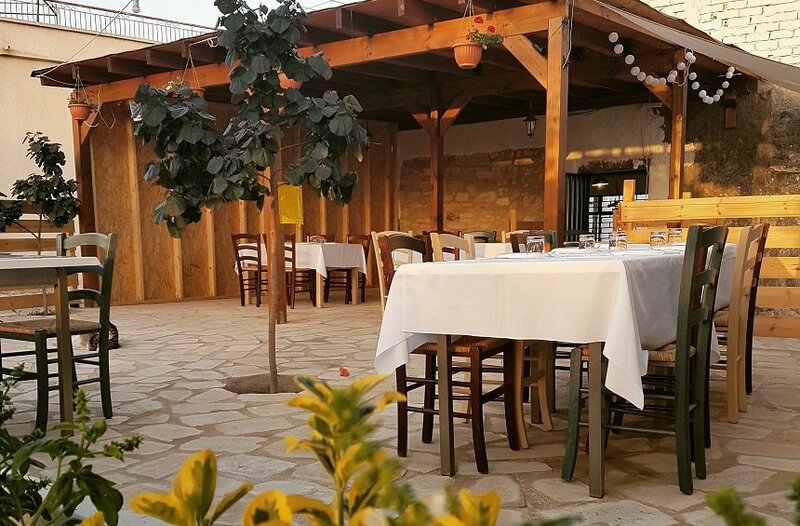 Well known flavors, friendly service and family atmosphere are the reasons for one to visit Folia tou Drakou. The breezy yard, with the same hospitable vibes as any yard in the village, is ideal for having meze or drinks, as well as mahalepi or traditional treats. 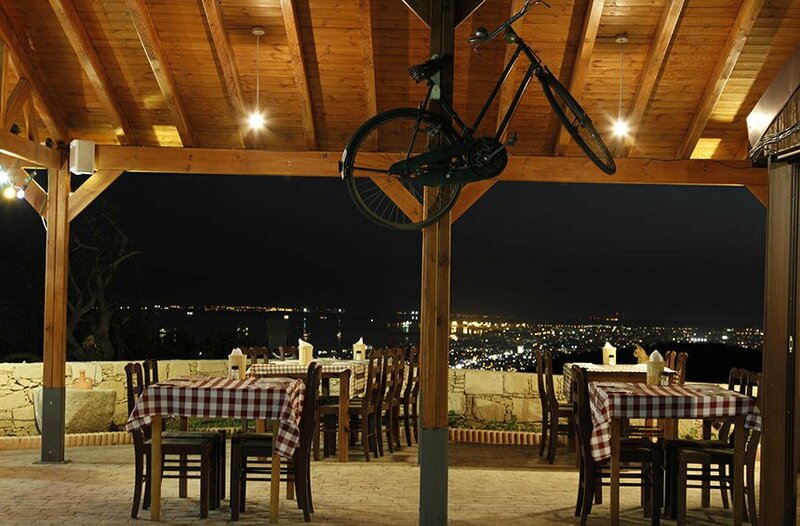 With decoration that brings up nostalgic memories from days gone by, in a friendly and quiet environment, this family tavern at Armenochori, offers delicious meals with a view, particularly interesting in the evening. The menu includes home cooked dishes, properly prepared, all grilled on the fire. 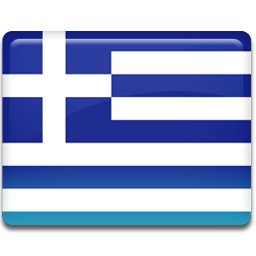 Find out more about Agios Epiktitos here. A very welcoming place, full of good energy and quality food. Very well known for the snails’ dishes, which can be served in 17 different way, Mezedopagida also serves 24 other meze recipes, to be enjoyed in the fresh, open air of the yard. Find out more about Mezedopagida here. 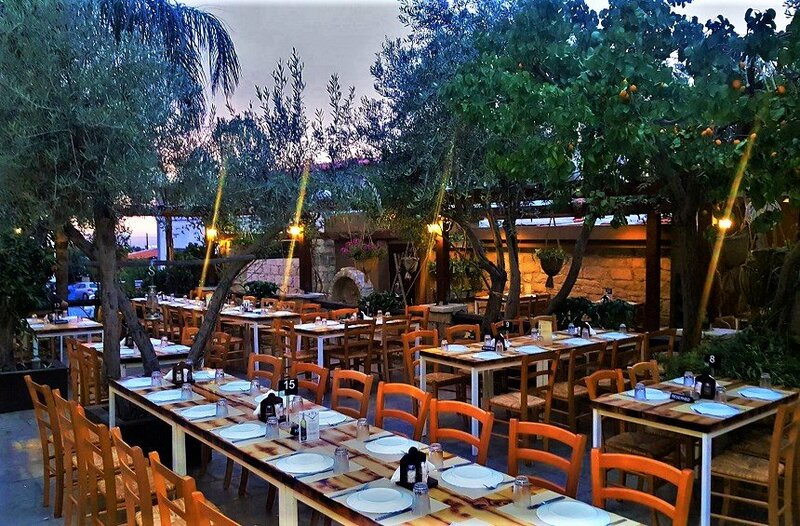 A cool yard with olive trees for the summer, genuine flavors of the Cypriot tradition, in a renovated area, it offers friendly atmosphere and excellent service. 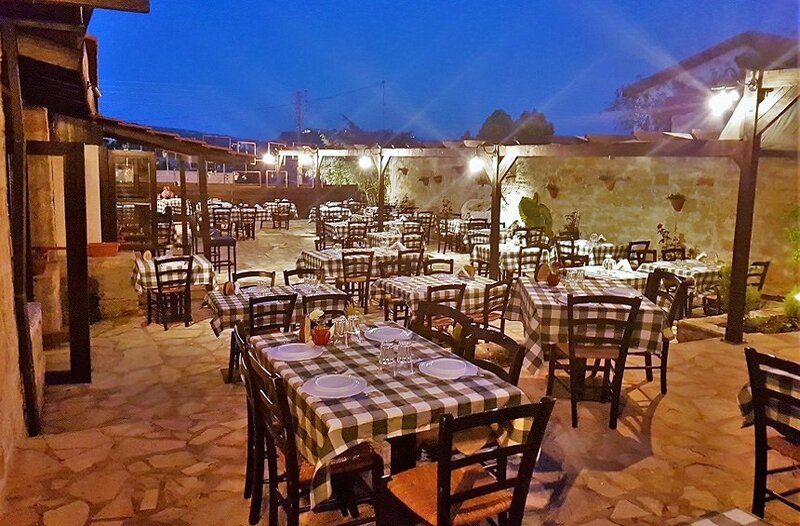 In "Forsos" tavern every visit is undoubtedly an unforgettable experience exploring authentic Cypriot cuisine. Find out more about Forsos tavern here. 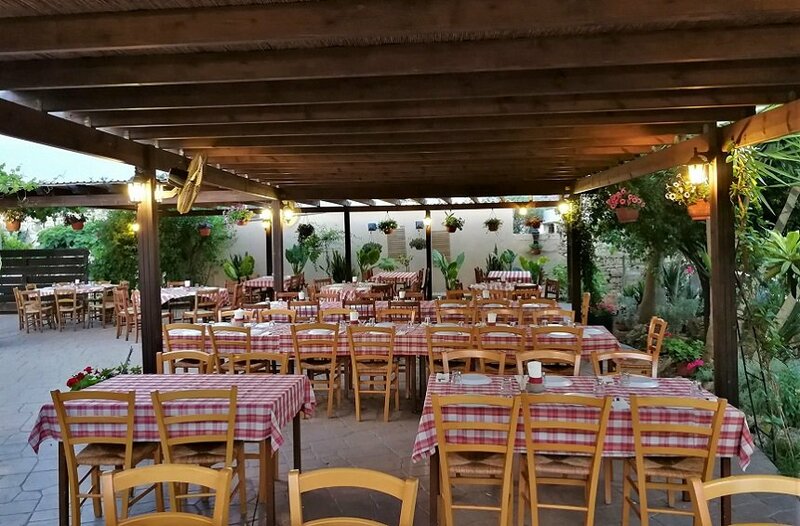 Karatello has been favorited for its cuisine, with familiar, local flavors, as well as for its location, in the heart of the city’s historical center. Being a natural extension of the Castle Square for several years, it offers a spacious, open air area for dining, as well as amazing view. Find more information about Karatello here. 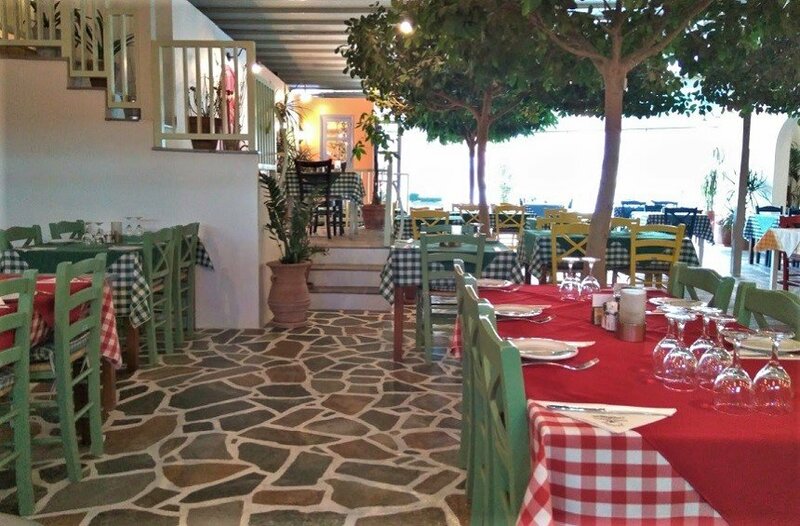 Salomi Tavern will charm you with its traditional decoration, the delicious food and the friendly environment. With Mrs Maro working miracles in the kitchen, the tavern is offering fusion Cypriot-Greek appetizers and unique tastes, with original recipes made exclusively by the family. Find out more about Salomi tavern here. 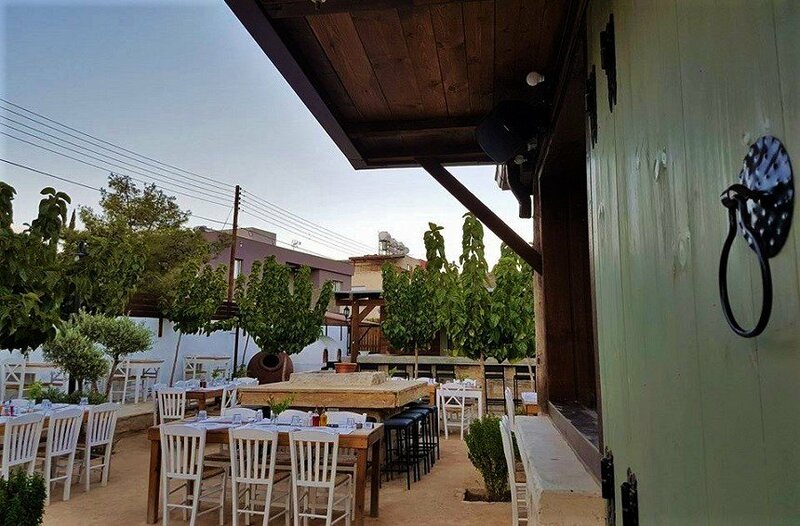 Baxes is a new, cozy tavern for those who know and love good meze, which welcomes you in a breezy, stone paved yard, in the summer. With traditional, Cypriot recipes and favorite flavors, meat on the spit and souvlaki, shevdalies, sausages and potatoes are grilled, as well as halloumi, omelettes and many more, tasty dishes. Find out more about Baxes here. 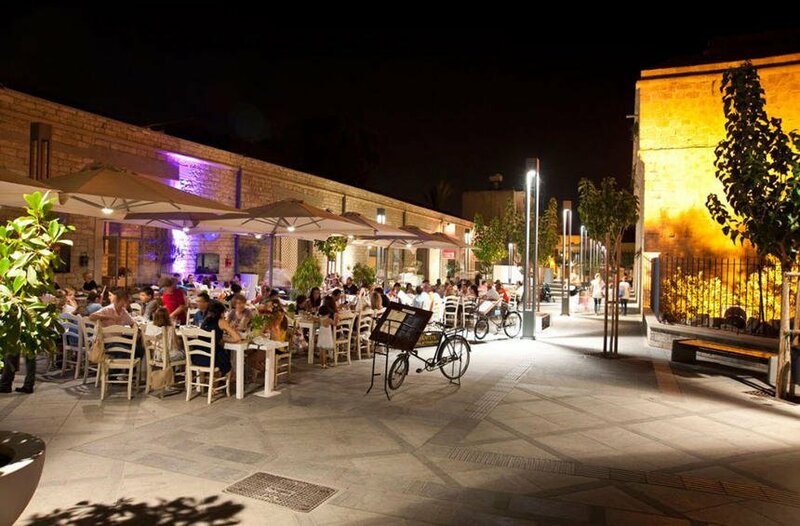 Delicious meze on the grill, cool wine and beer and amazing atmosphere at the historical Heroes’ Square in the city center, are all great reasons for visiting Karvouniasmata for relaxed evenings in good company. 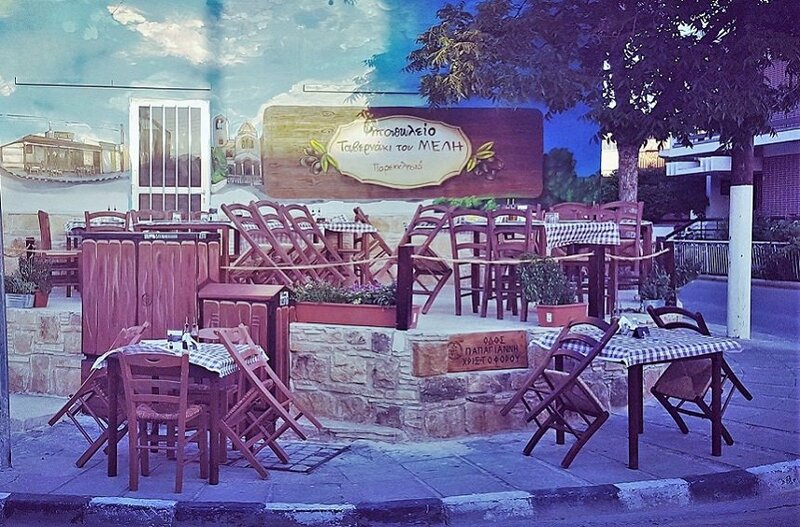 Yialousa tavern is a beautiful, family tavern with Cypriot home cooking, which welcomes its guests under the green pergolas, shading the yard during the summer months. 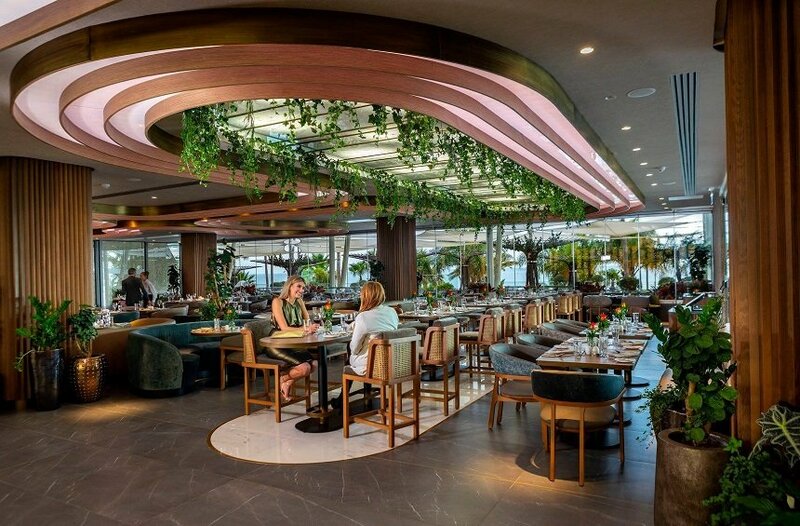 A place suitable for parties and events, it can also be an everyday option for dining out. 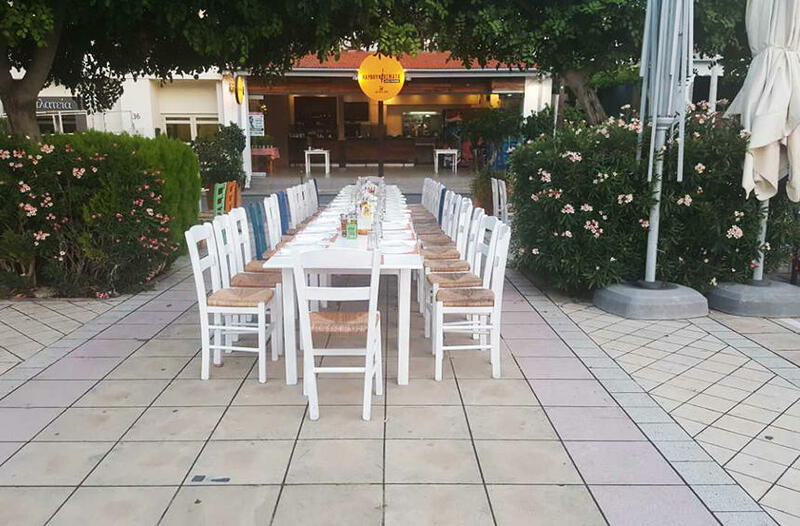 Setting up a scenery with colourful doors, windows and tables on the paved area of the yard, Kissos tavern manages you transfer you from Limassol’s seaside are to the picturesque islands of the Aegean. 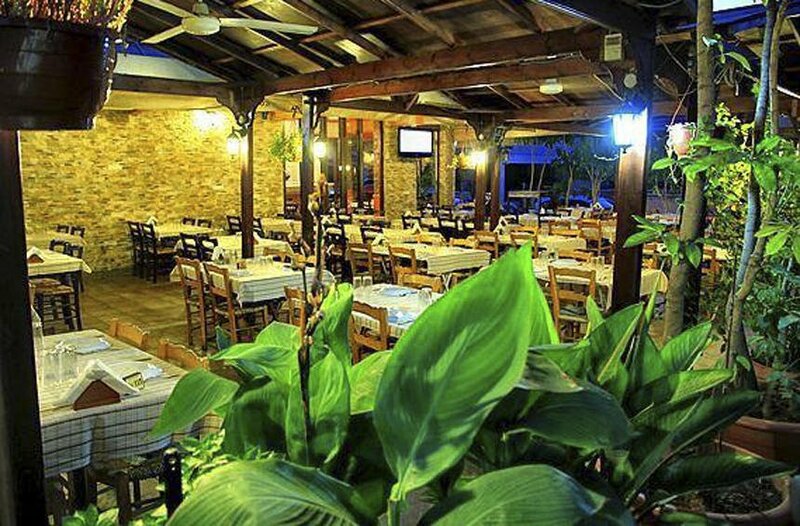 With a menu of Mediterranean and Greek cuisine, it offers an overall experience in this idyllic atmosphere. Located in an old mansion, Areti tavern welcomes you at its place, offering unique traditional flavors at every visit. 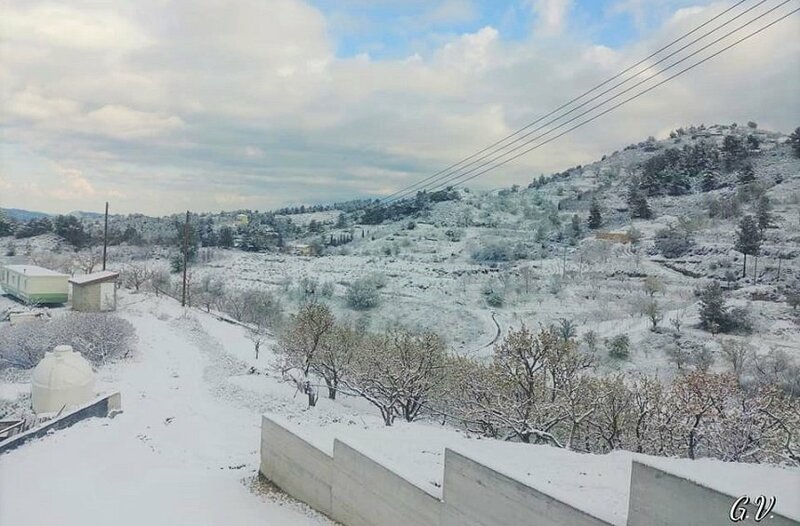 With the atmosphere of a traditional, Cypriot home, its breezy yard is ideal for the warmer days. A point of reference at Heroes’ Square, this tavern is a favorite option for any season, if you wish to try tasty, traditional meze and music. 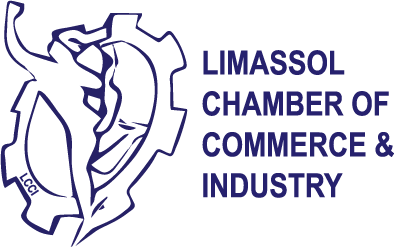 During the warmer months of the year, the yard that connects with the square, creates an idyllic setting, which brings up memories from Limassol’s past. Set on a hill at Pano Polemidia, Shiambelos tavern stands out for its incredible view and the tasteful combinations it offers. From its venue you can gaze at the entire city from above, while at night, with the lights, the view turns into a dreamy scenery. On its menu you can find delicious meals prepared on the grill as well as a la carte choices from the Cypriot cuisine.